Our bilingual safety signs and labels send your safety message in two languages. These US-made signs are ideal for operations with both English- and non-English-speaking workers, visitors or customers. Choose from OSHA, ANSI and other formats in a variety of sizes and materials. We currently offer our most popular safety signs and labels with English and: Chinese, French, German, Italian, Japanese, Korean, Polish, Portuguese, Spanish, Tagalog or Vietnamese languages. If you need a different language, or for information on non-English languages, check the resource and links below. All the multi-language signs you need, and more. 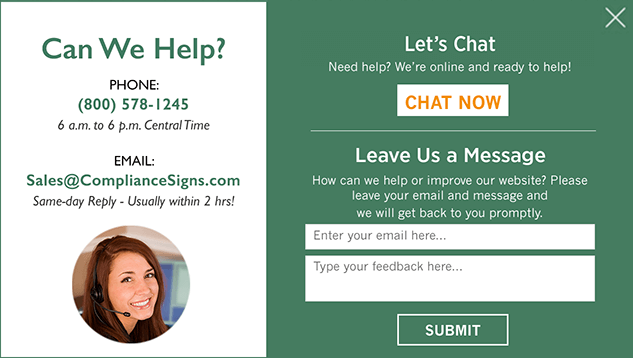 Whether you're looking for bilingual safety signs with Chinese, French, German, Italian, Japanese, Korean, Polish, Portuguese, Spanish, Tagalog, Vietnamese or another language, you'll save time and trouble when you shop ComplianceSigns.com. Of course, we also make thousands of English signs for OSHA and ANSI safety needs, restroom, no smoking, parking and many other topics. All our signs are custom manufactured in the U.S. from highest-quality materials, and shipped fast to you.